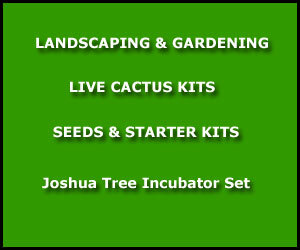 Throughout all 4 deserts of the Southwest -- Mojave, Chihuahuan, Great Basin and Sonoran. Southeastern California and southern Nevada, to southern Colorado, west Texas, New Mexico and Arizona, to northern Mexico. Gravelly and rocky slopes, roadsides, dry washes and hillsides between 4,000 and 8,000 feet. Round, white flowers, with yellow centers, 1 to 2 inches wide, bloom April through June. They have 5 petals, many stamens and grow from the rim of small cups. This evergreen shrub, a member of the Rose Family (Rosaceae), grows up to 6 feet high. It is sometimes confused with the Cliffrose (Cowania mexicana) , but can be distinguished by its more shrub-like appearance, having numerous branches at the base. Its small grayish, downy leaves are pinnately divided into linear divisions, attached alternately on slender stems. They are about 3/4 inches long and curved slightly downward. The silvery puffs of fruit heads have many styles emanating from a feathery plume up to 2 inches long. 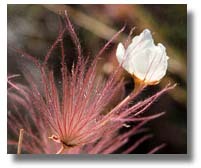 These white-to-pink plumes grow from a seed-like base at the tips of tangled, slender branches. This plant's common name is derived from the fact that it resembles Apache war bonnets. 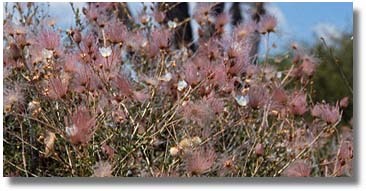 Tewa and other native peoples used the stems of Apache Plumes to make brooms and arrow shafts.